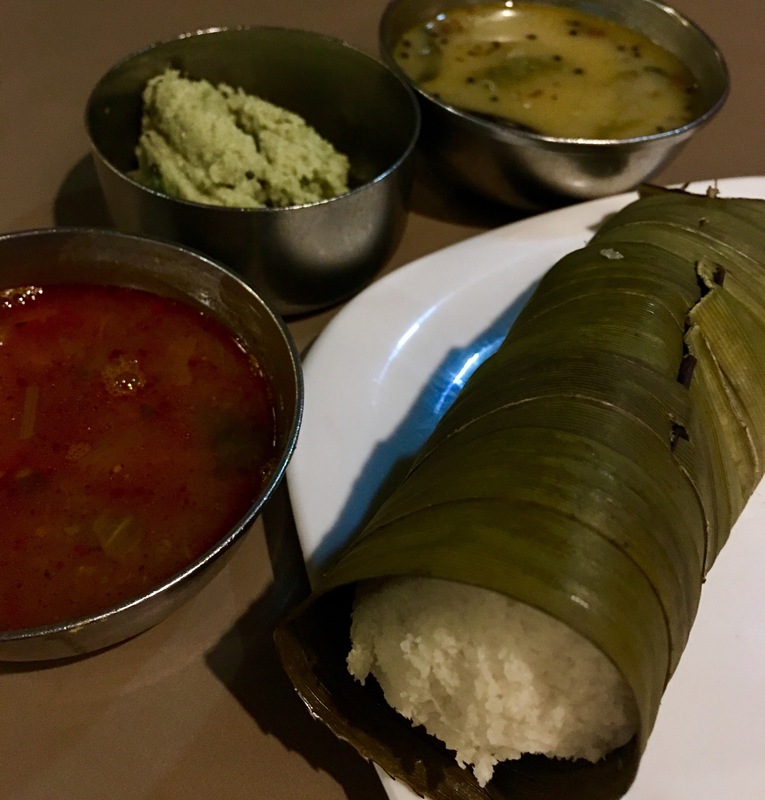 South East India Food Adventure – now with more tips! 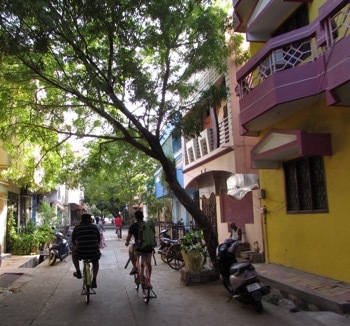 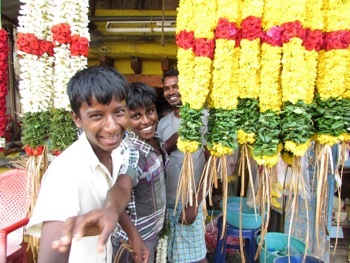 T. Nagar in Chennai is a good spot to stay as its near the Pondi Bazaar for shopping and some good spots to eat. 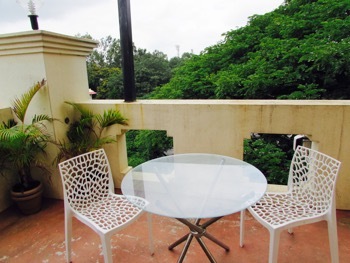 The Residency Towers in T.Nagar is well priced in the low season has a lovely decor and a pool for the hot weather. 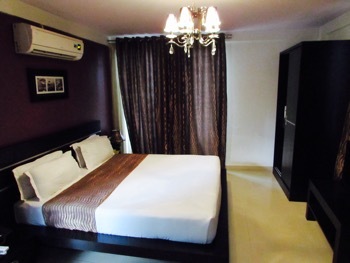 (In good weather, Lotus Apartments close by could also be a cheaper option). 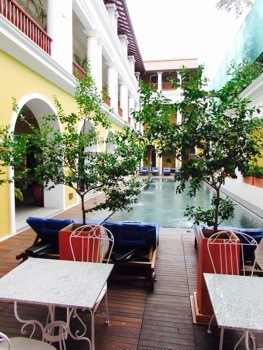 Another nice, well priced spot, with a pool that’s worth trying if you’d like to stay in Mylapore, (which is closer to sightseeing, and has plenty of good eateries) may be the Savera Hotel. 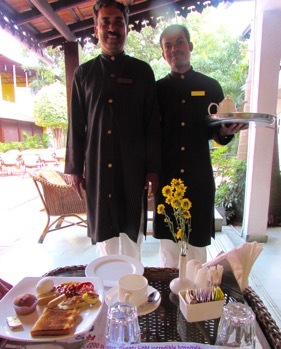 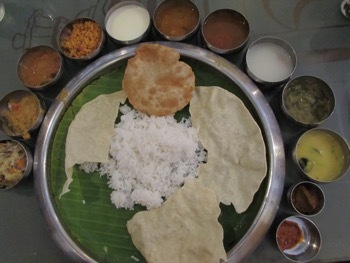 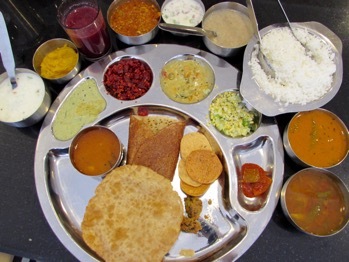 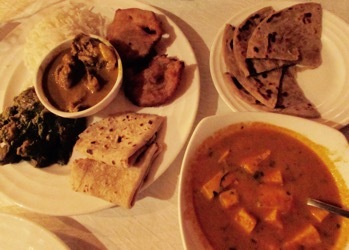 In Pondy Bazaar try the Rangoli Restaurant Gujarati Thali. 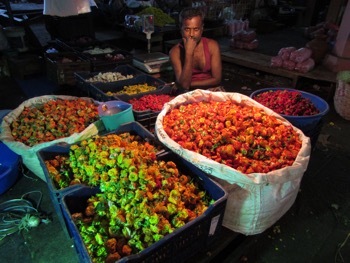 Open daily from early morning, this huge wholesale market is a wonderful place to take photos and interact with stall sellers who love to have their photo taken. 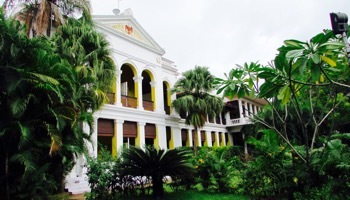 Start in the first building which houses the flowers, but do also see the fruit and vegetable buildings, including the sea of bananas. 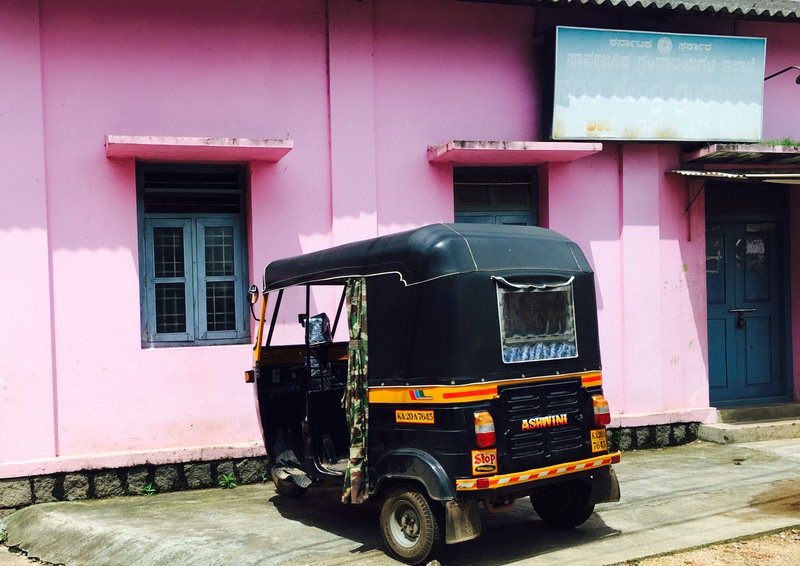 It costs around 250Rs to get there by auto rickshaw from Residency Towers Hotel. 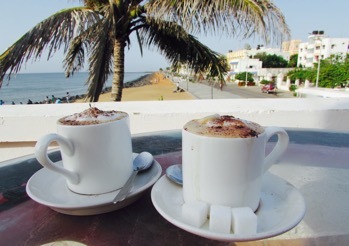 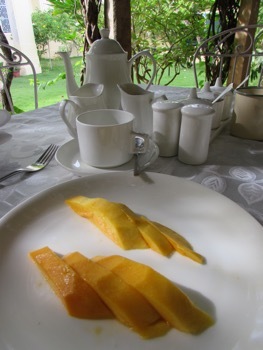 It also gets quite hot, so best to head there straight after breakfast in the warm weather. 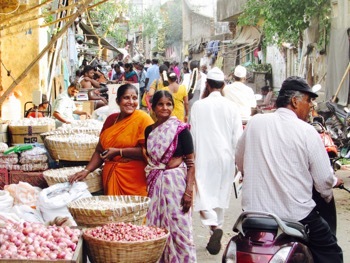 Even if time is short, a quick trip to Mylapore ( about 500 Rs or less in an auto rickshaw for a round trip) is well worth it, to see and share local life. 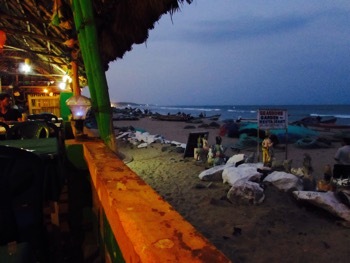 Best done in the evening when the breeze from the ocean cools things down and the light is perfect for photos. 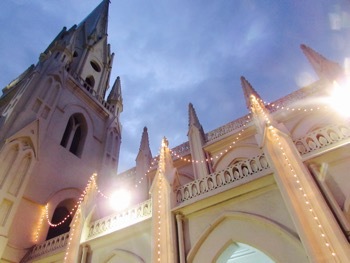 Sunday evening is especially good when St Thome Cathedral is alive with a huge outdoor mass…. 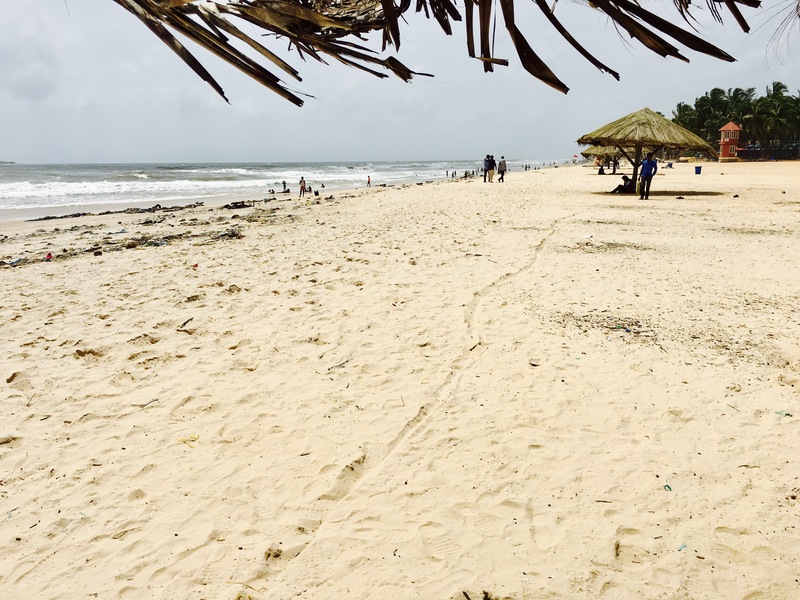 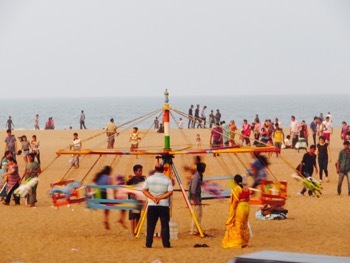 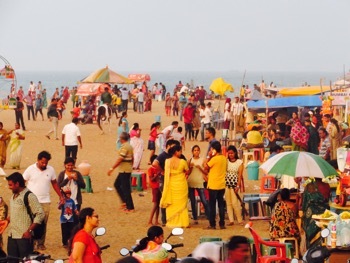 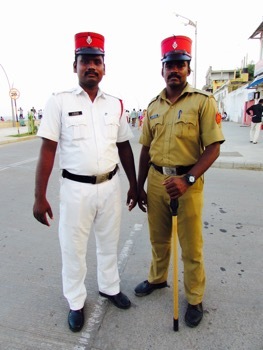 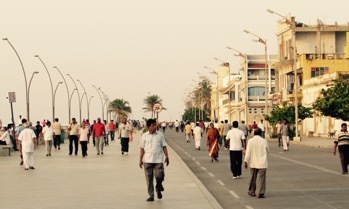 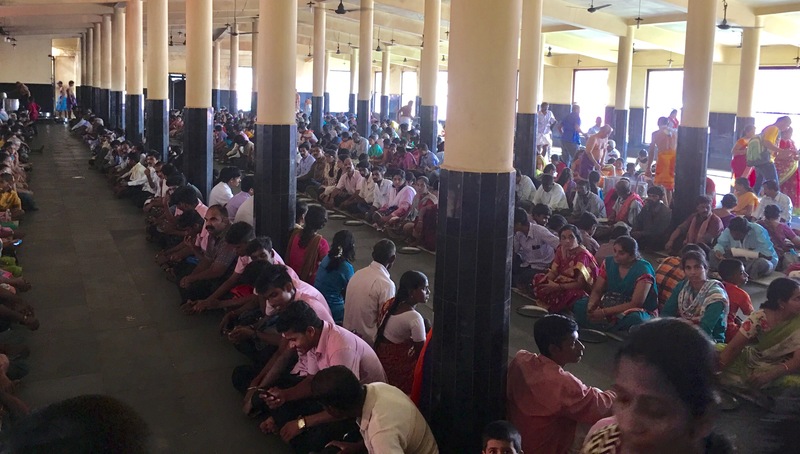 ….and Marina beach is busy with families enjoying a Sunday outing. 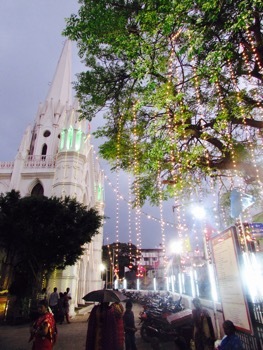 Kapaleeshwarer Temple also in Mylapore, is good in the evening too. 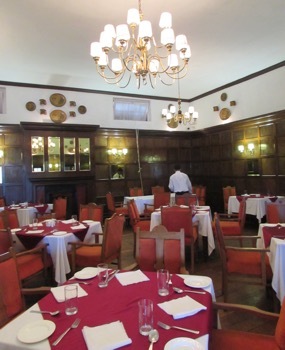 ( It is closed for a long lunch 12:00-4:00pm). 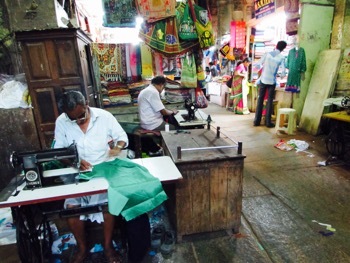 The Storytrails Bazaar Trail or Peacock Trail is good if there’s a few of you to share the cost or if you can join a group. 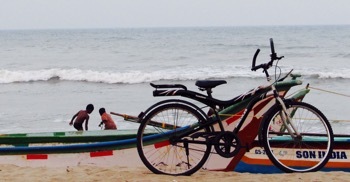 About 1-1 ½ hours south of Chennai on the East Coast Road. 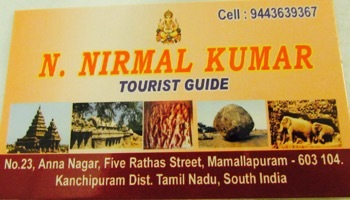 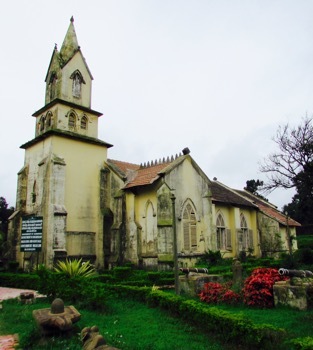 Visitors stop here to see the World Heritage listed temples and rock carvings. 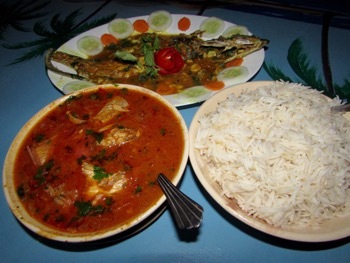 Try the fish curry that Rick Stein declared was the best curry in all of India. 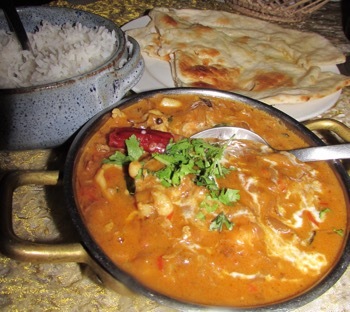 While this is not actually the best ever fish curry, it’s not bad, the view is great, and the Marsala prawns are excellent. 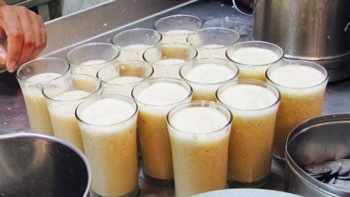 If you’d like cold beer, then do phone ahead ( or ask someone else to) to get it in the fridge. 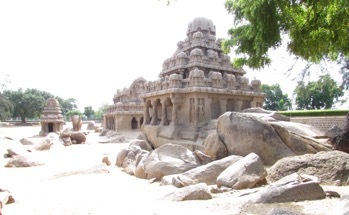 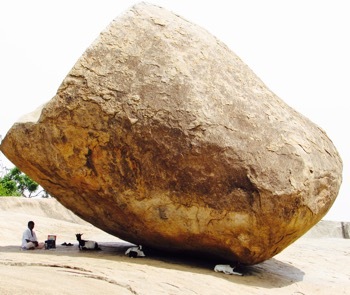 Exploring the world heritage Pallava Dynesty monuments in Mamallapuram is well worth doing. 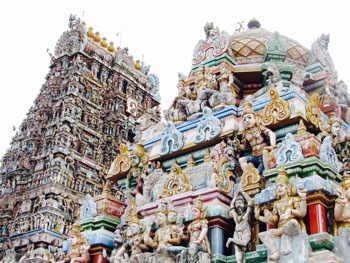 All seven sights are close together and can be seen in a morning. 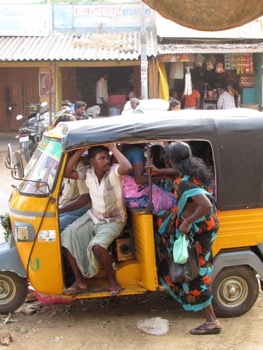 Engage an auto rickshaw driver for around 700Rs and a local guide for about 600Rs. 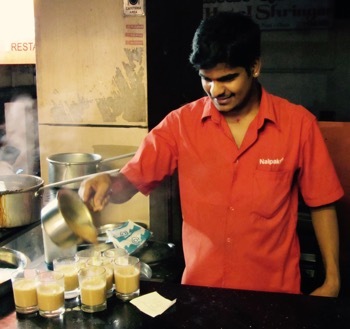 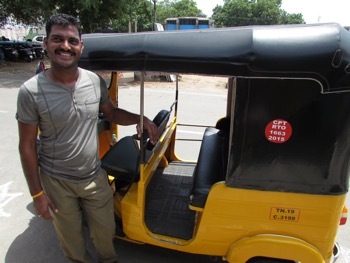 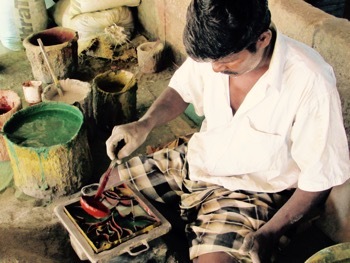 Sakthi, auto driver and fixer of all things – like cold beer and local SIM cards! 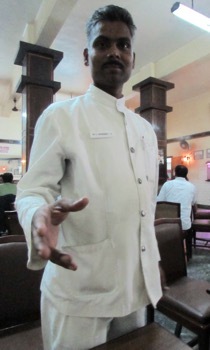 He is often contacted by Grande Bay Resort to run guests into town. 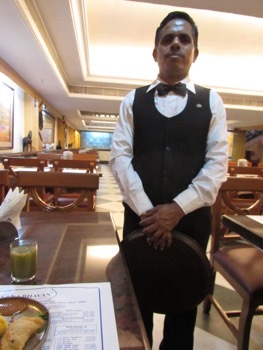 Nirmal, a registered guide, has very good English and a great sense of keeping things brief and to the point, very important when it’s hot. 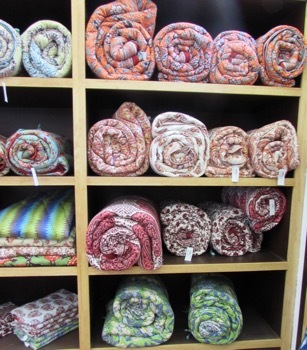 The government shop at the Shore Temple has some lovely textiles and camel bone boxes. 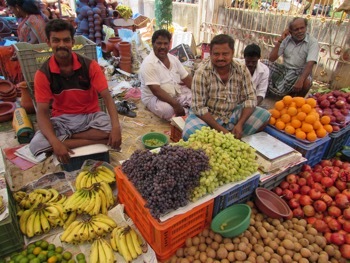 Well worth also doing is a 20 min, 800Rs ( for 1-2 people) auto rickshaw ride to the local rural town market in Thirskkalakundram, near Eagle Temple on the hill, close to Mamallapuram. 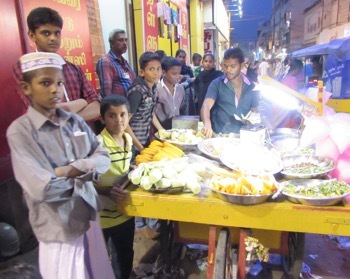 Best to head there around 4:30pm to co-incide with the end of school and with the evening market and activities starting up. 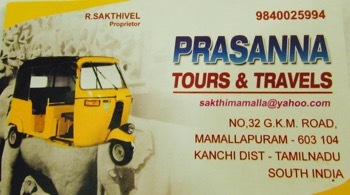 Sakthi, the auto driver, can organise this for you. 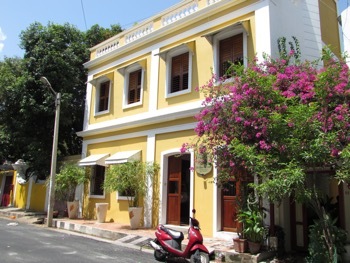 A former French colony on the coast, where Indian and French foods and architecture blend to achieve some lovely street scenes, good shopping and creole cusine. 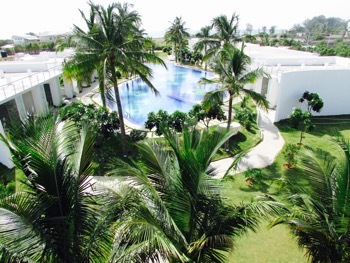 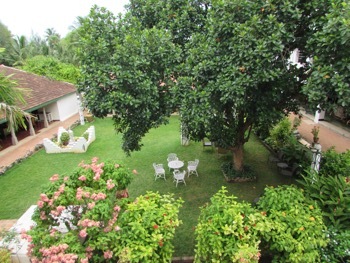 Palais du Mahe in the hot weather ( discounted prices and a nice pool). 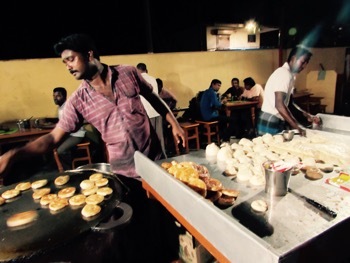 There are plenty of good eating options in Pondicherry. 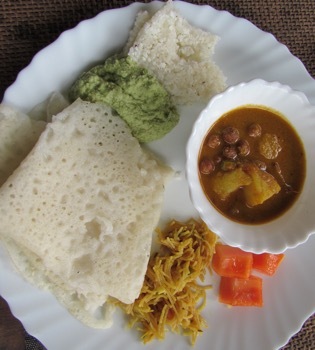 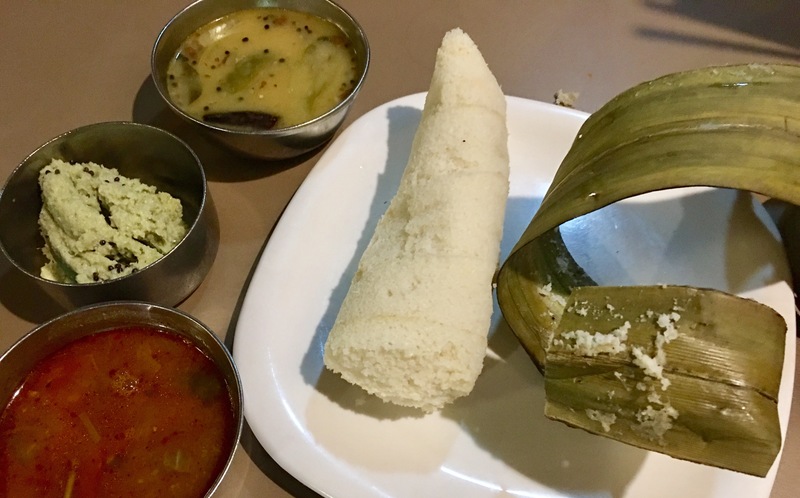 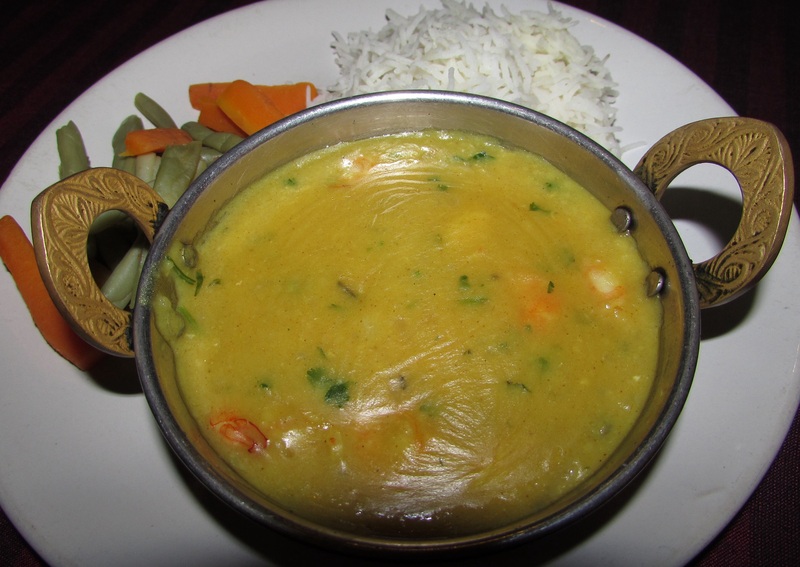 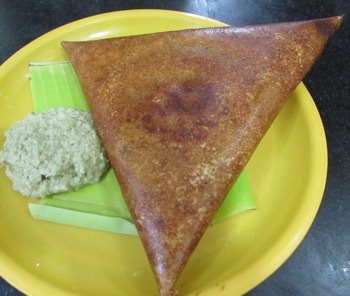 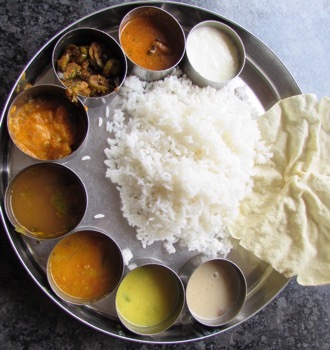 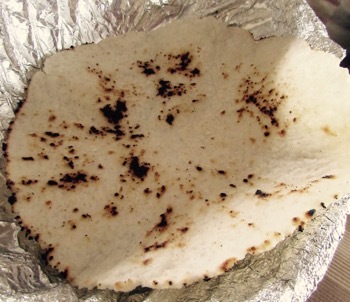 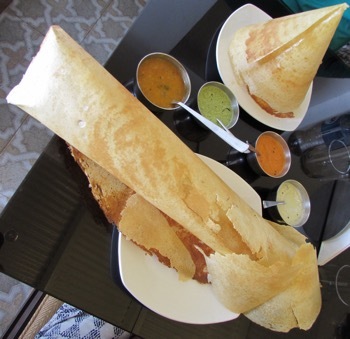 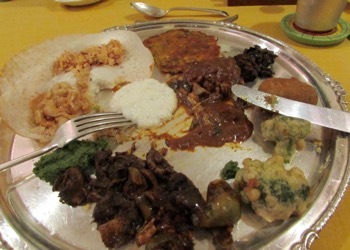 There’s several inexpensive options for South Indian foods, that are very popular with locals. 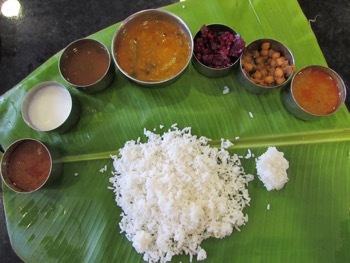 These are especially good for a lunchtime Thalis ( not available at dinner). 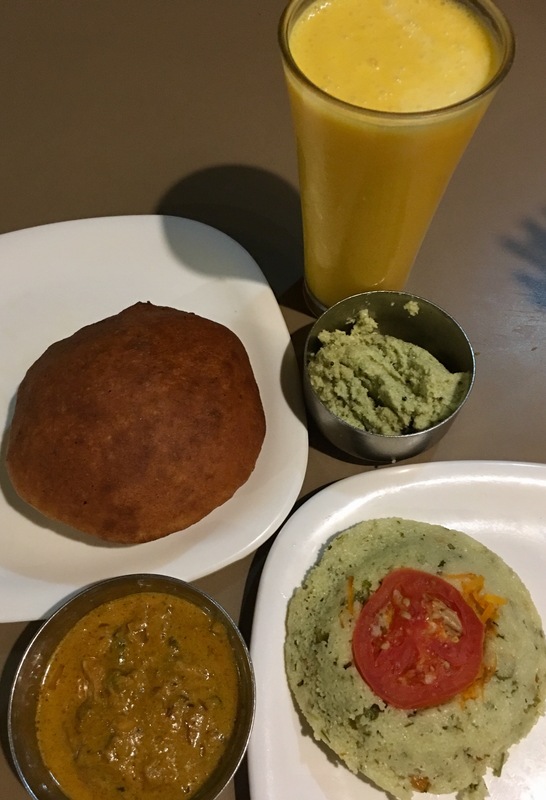 Surguru is the best, especially the Surguru Spot branch on Nehru Street. 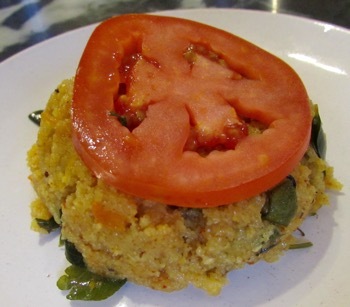 The Mission Street branch comes in second place. 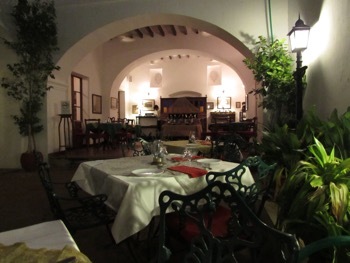 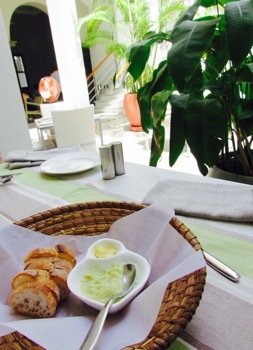 …Carte Blanche at the Hotel L’Orient is great for Creole Cuisine ( the absolute best place for dinner)..
…Villa Shanti is a stylish respite from the heat..
…or try Hotel du Parc if you’re up at the north end of town (air conditioned, quiet, serves alcohol). 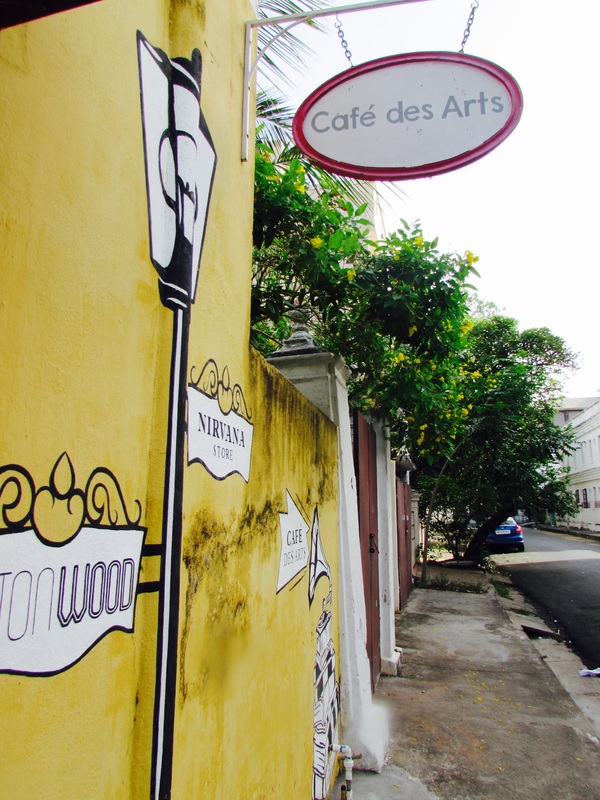 Pondy’s French heritage ensures that there’s plenty of good coffee, baguettes, cakes and pastries around town and they also have gourmet sandwiches and other western lunch items. 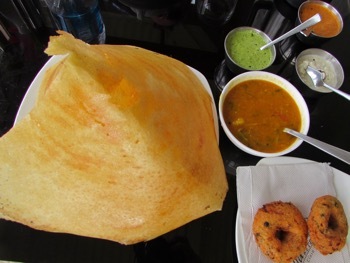 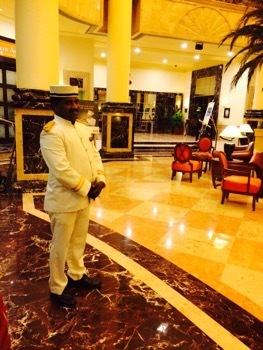 The best may be Baker Street for food and air conditioning..
…but there are plenty more attached to the more upmarket hotels. 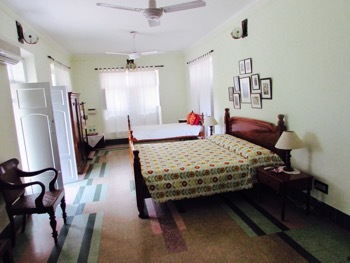 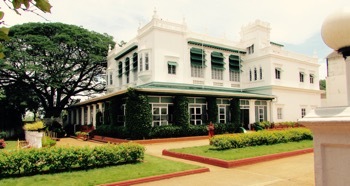 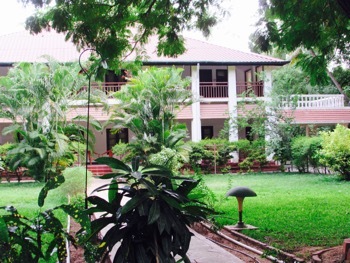 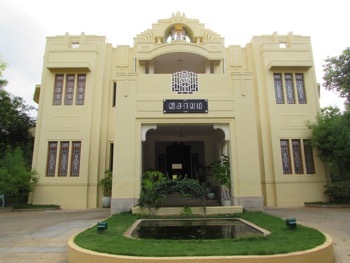 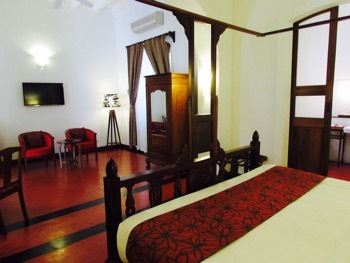 Stay in a beautifully restored mansion and enjoy authentic spicy Chettinad cuisine. 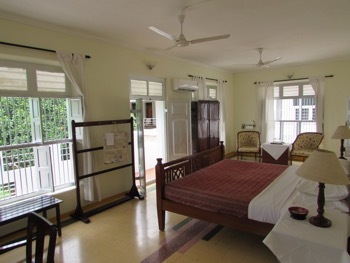 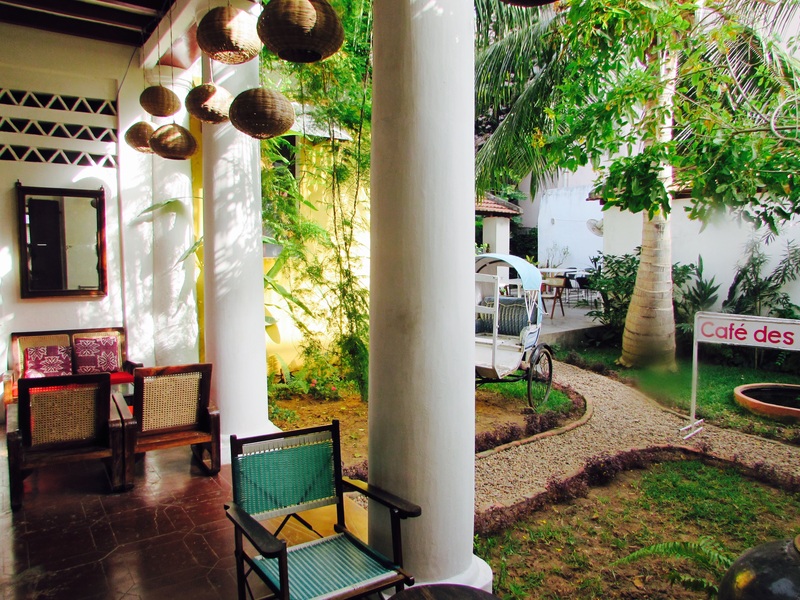 Visalam – a gorgeous art deco restored mansion with great style and a lovely pool and garden, with great low season discounts. 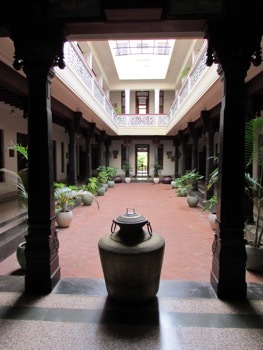 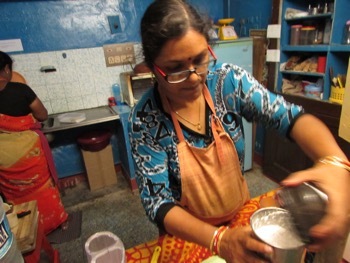 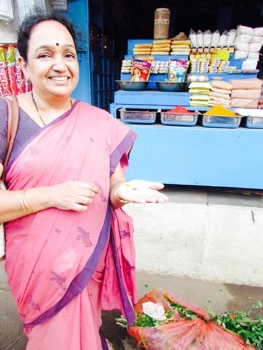 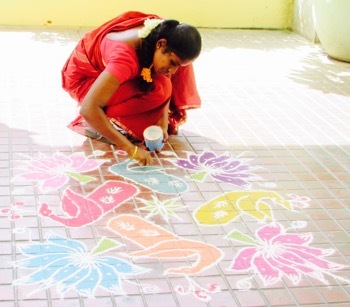 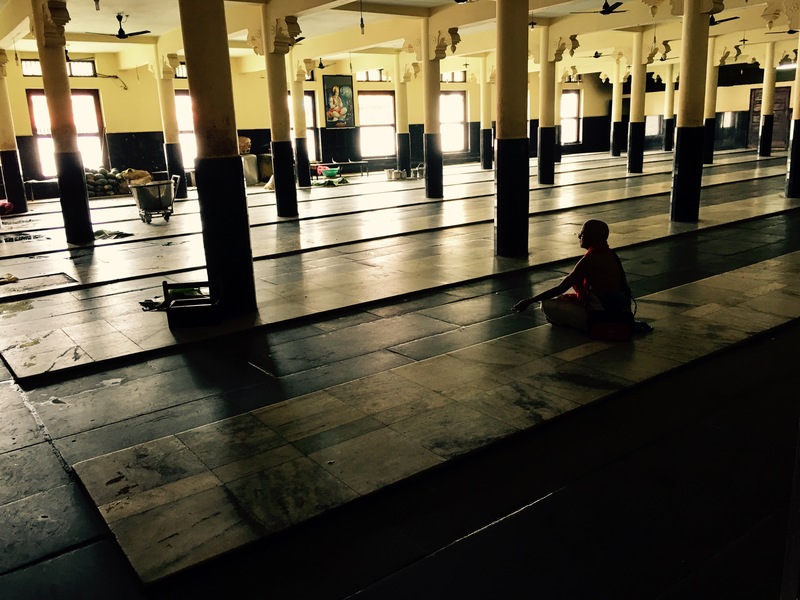 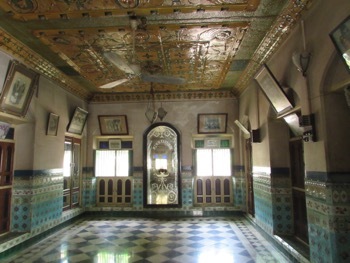 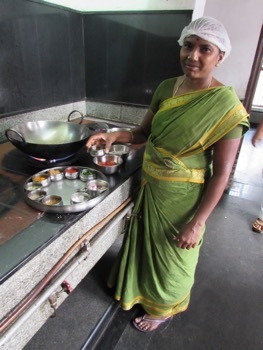 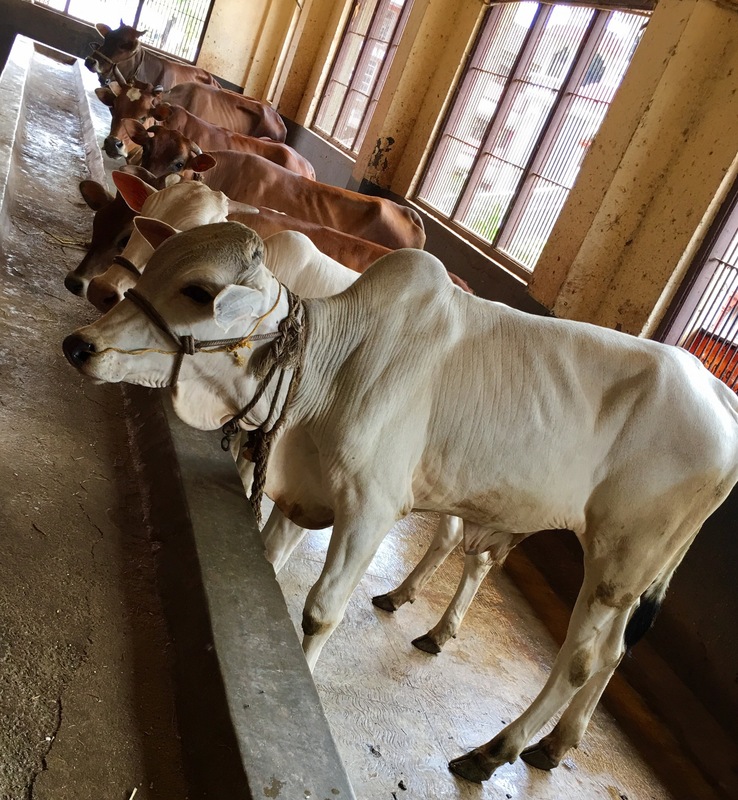 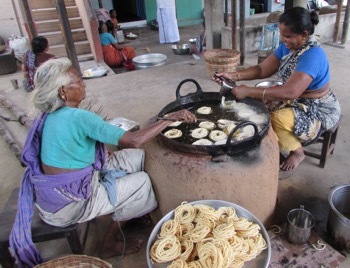 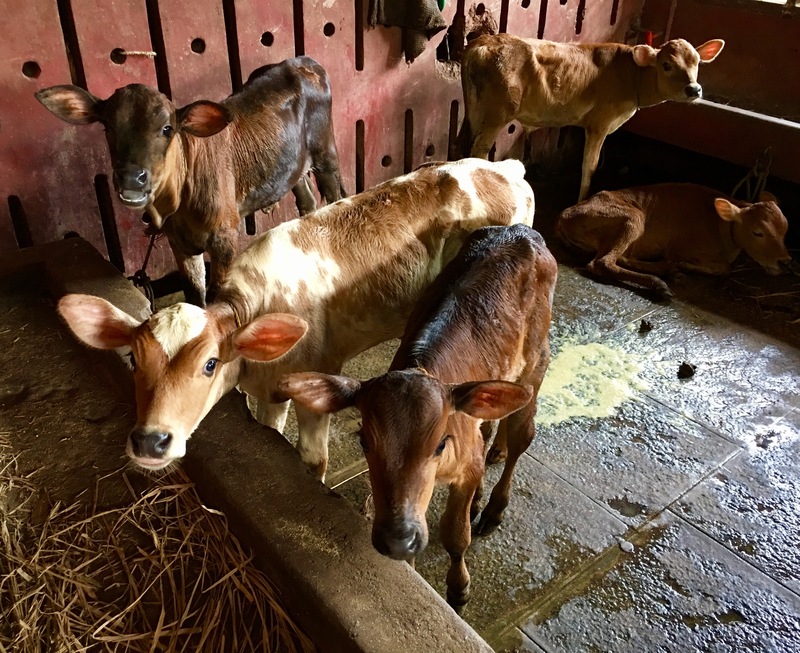 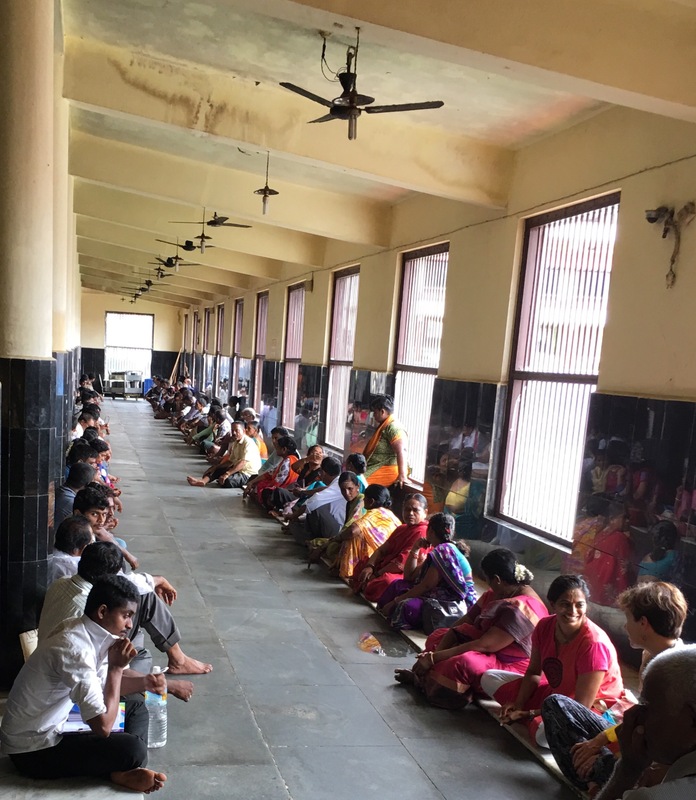 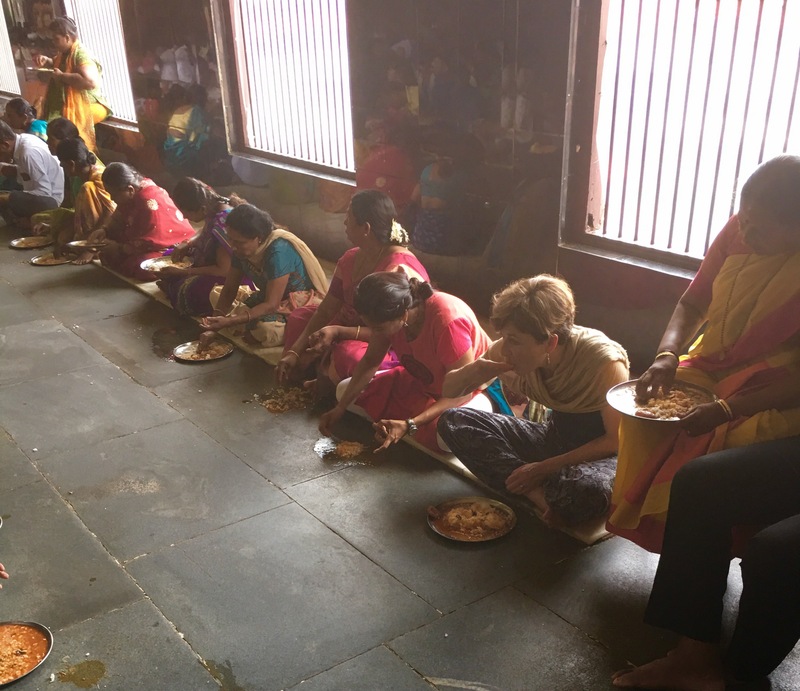 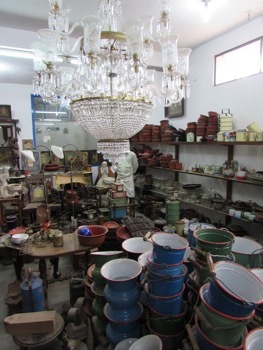 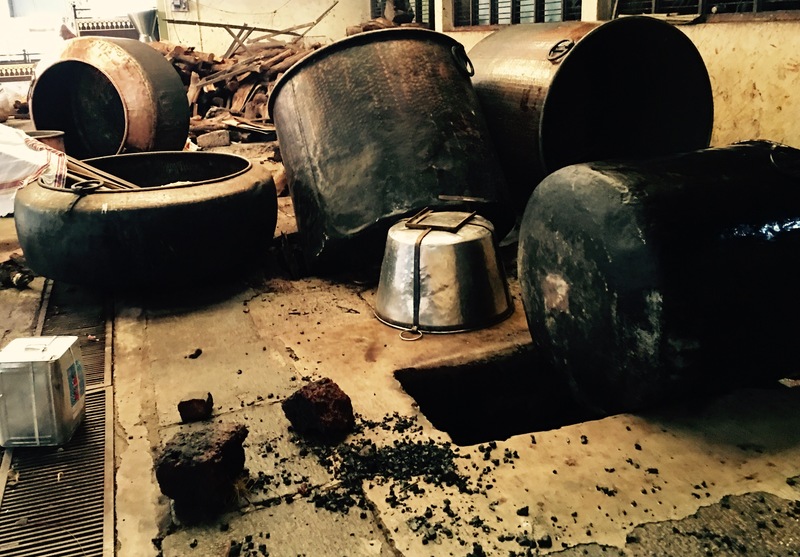 ….and the chargeable tour that visits the tile factory, the Visalam ancestral home and snack making. 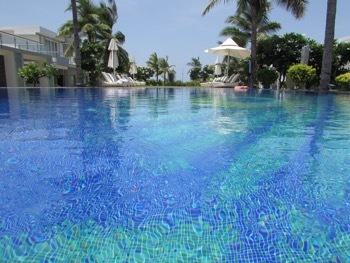 Swim in the lovely pool. 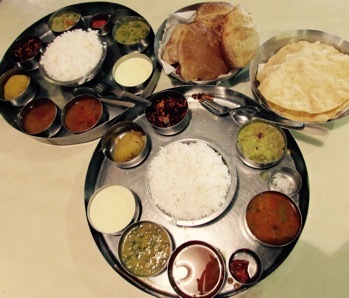 Eat breakfast, lunch and dinner in three different places. 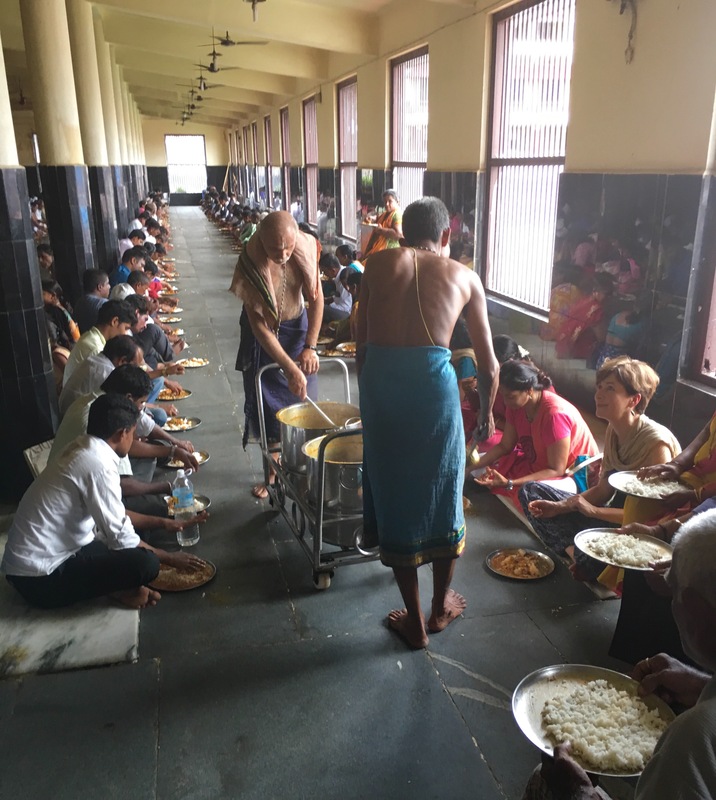 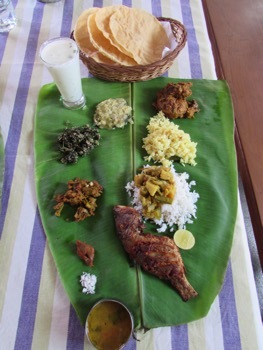 The Bangala – Famous for it’s food – the set lunch or dinner is a Chettinadar wedding feast ( the hospitality and food here is truly amazing). 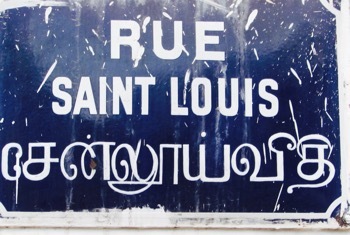 …and No. 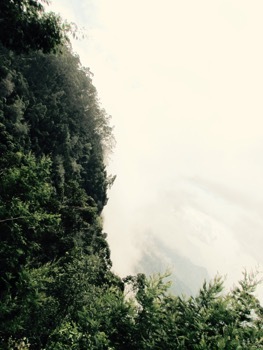 2 below it…. 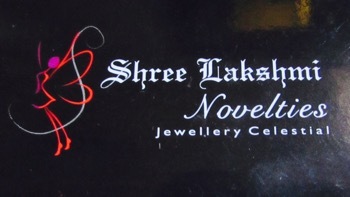 …as well as No. 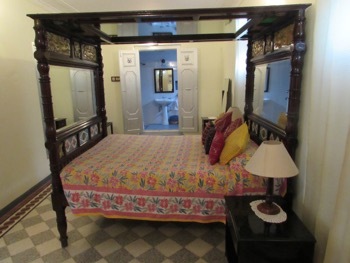 3 honeymoon suite. 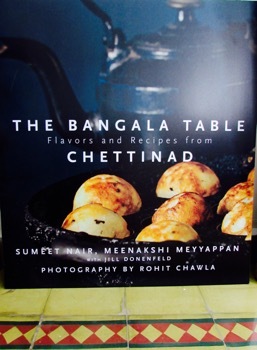 Buy a signed copy of Mrs Meyyappan’s cookbook. 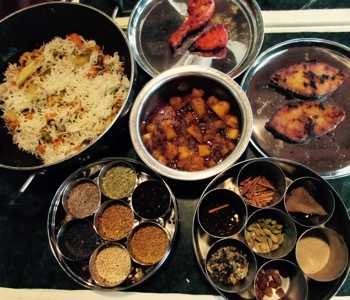 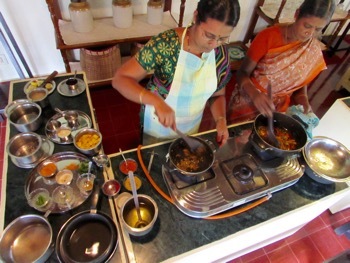 Learn to cook Chettinad cuisine. 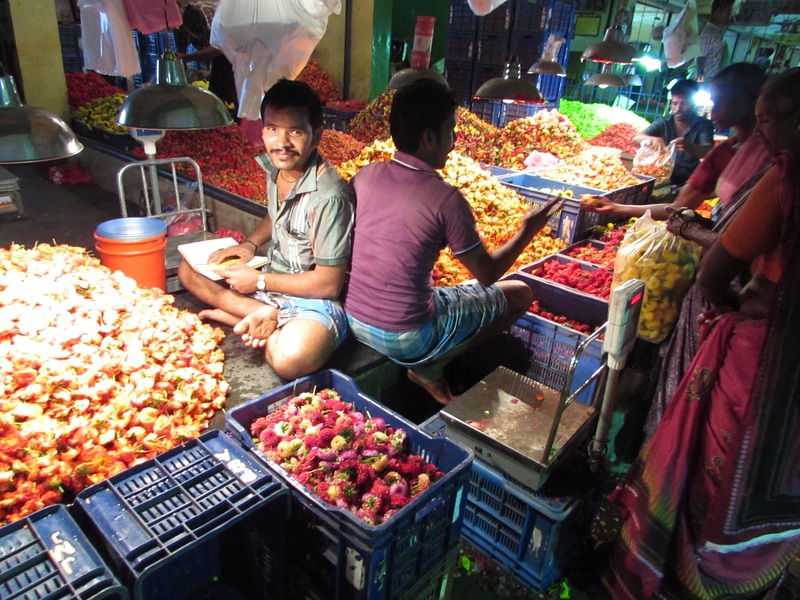 … and the Monday and Thursday local markets. 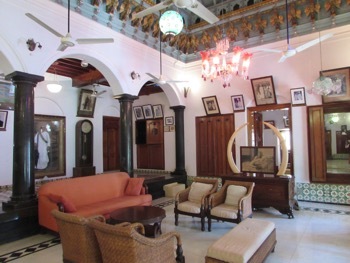 Relax with the amazing high quality library thoughtfully catering to guests ( especially all the lovely coffee table books). 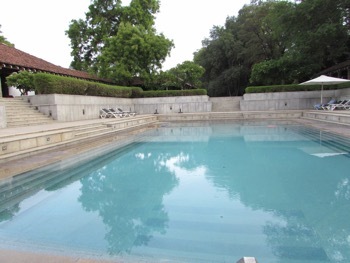 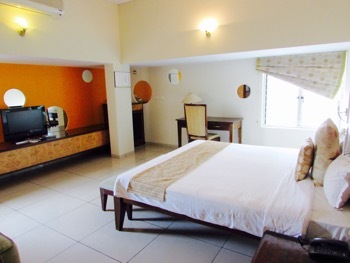 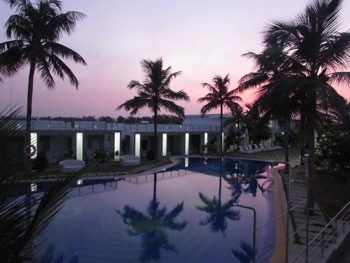 Heritage Madurai – great prices, gorgeous pool and a lovely garden setting. 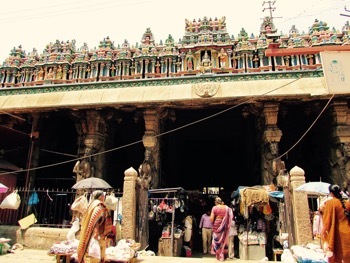 Enjoy the buzz around the Meenakshi Amman Temple and be sure to browse the Pudha Mandapa, the undercover heritage market at the East Gate that houses 200 tailors and endless stalls selling bling and gifts for those visiting the temple. 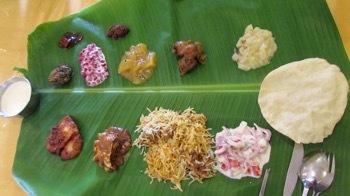 Foodies Day Out tour. 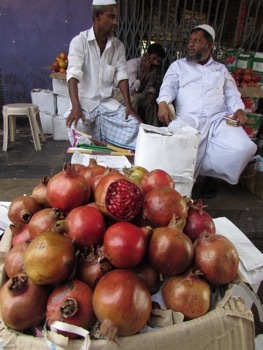 an excellent introduction to foods in places you’d never find alone. 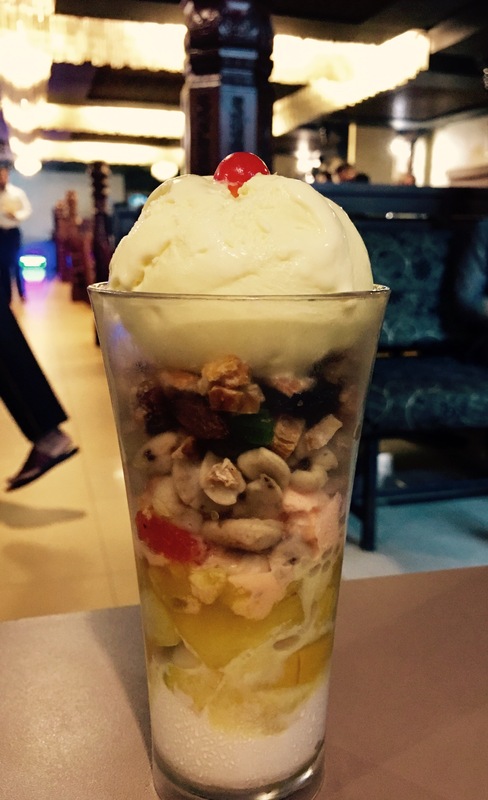 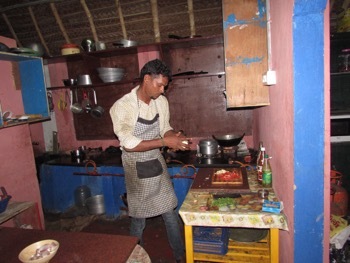 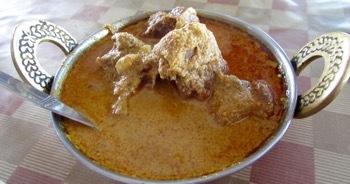 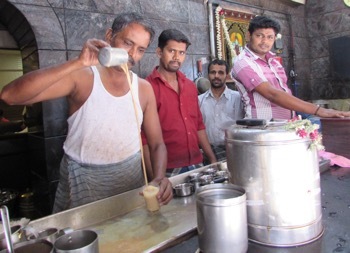 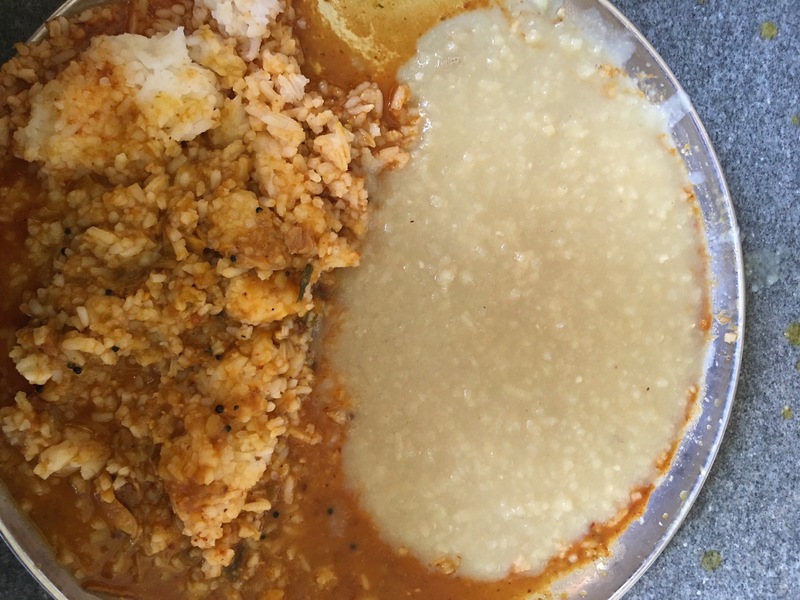 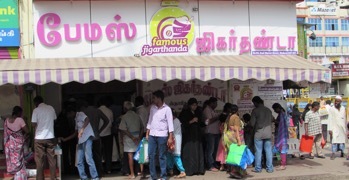 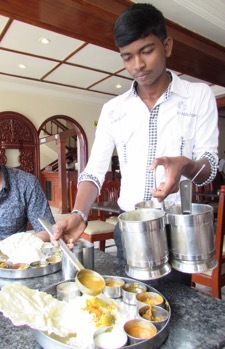 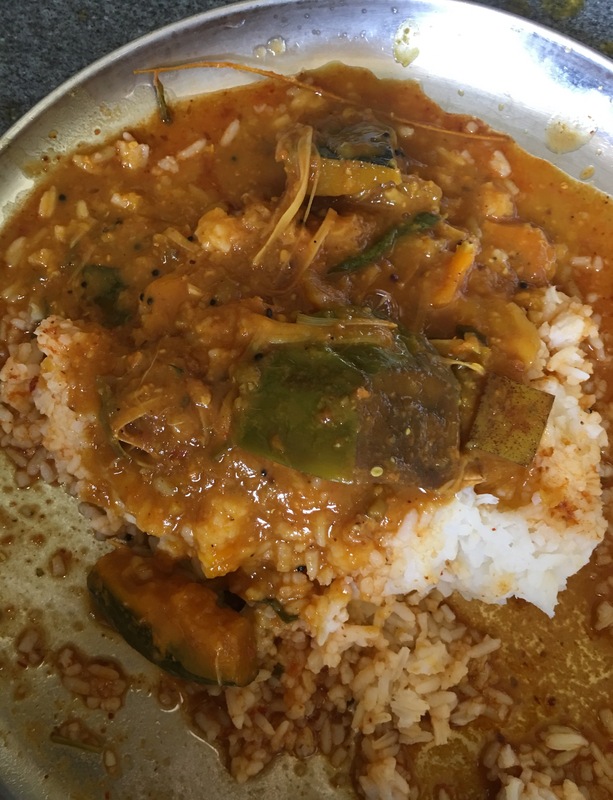 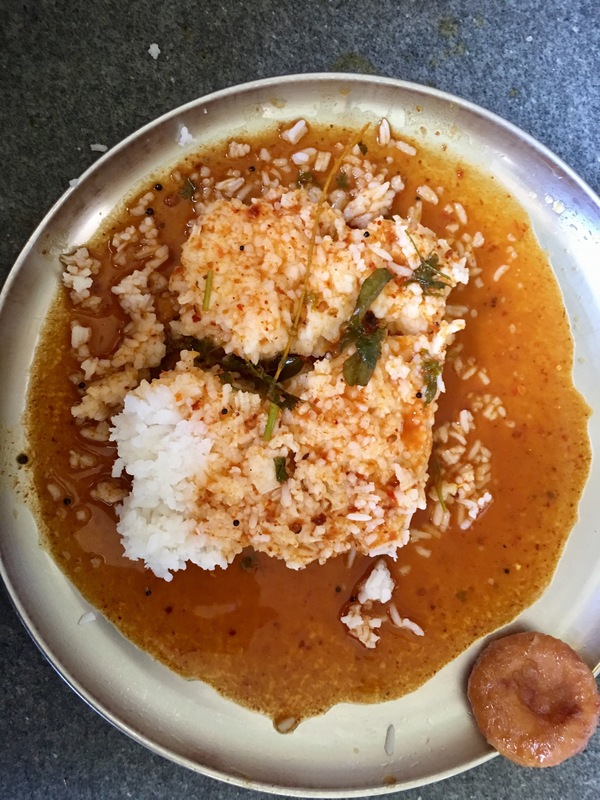 …and the signature Jigathanda at Famous Jigathanda. 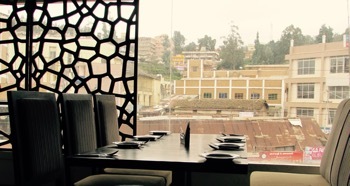 Suyra for a roof top great value dinner with a view of the temple. 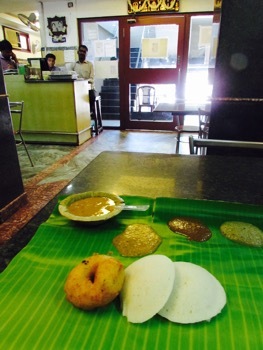 And ask Pandian from Foodies Day Out for more ideas. 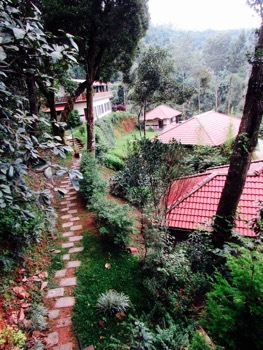 A misty hill station in the Palni hills. 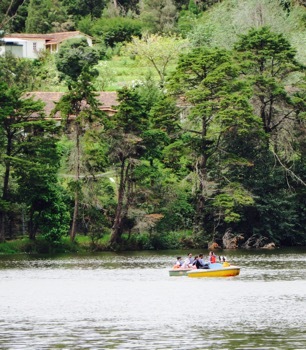 Popular for it’s spectacular lookout points, waterfalls and very pretty lake. 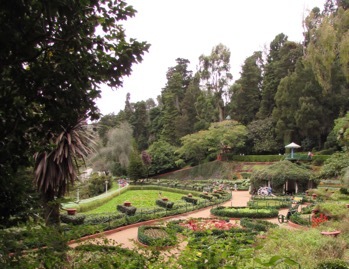 But only go if you have plenty of time, if not, just head straight to Ooty. 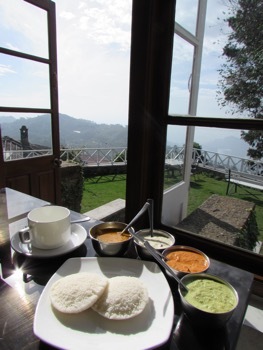 Great views over the valley and amazing food. 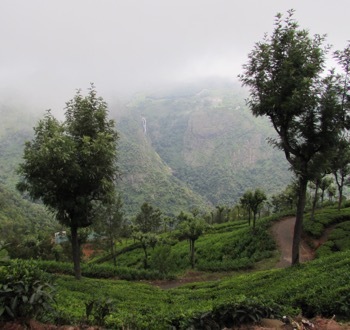 Walk to Vattakanal ( there’s a good description of the route in Lonely Planet). 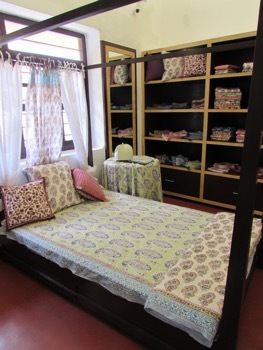 Shop at the Re Shop ( lovely things and a good cause), but don’t worry about buying chocolates in town. 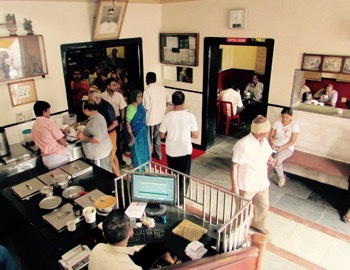 The Pastry Corner for icecream. 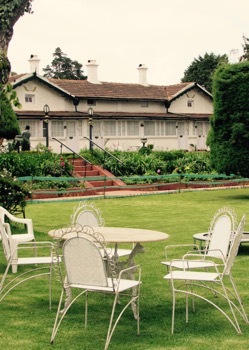 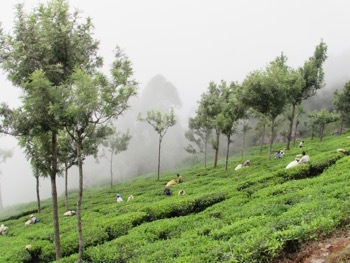 Ooty another hill station of the Raj era in the Nilgiri Hills with great scenery. 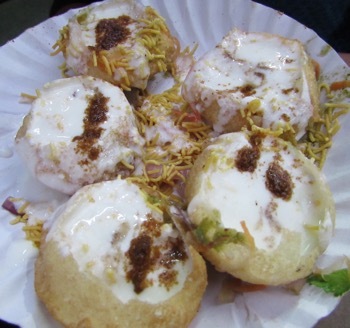 (absolutely delicious and only 40Rs) near the train station. 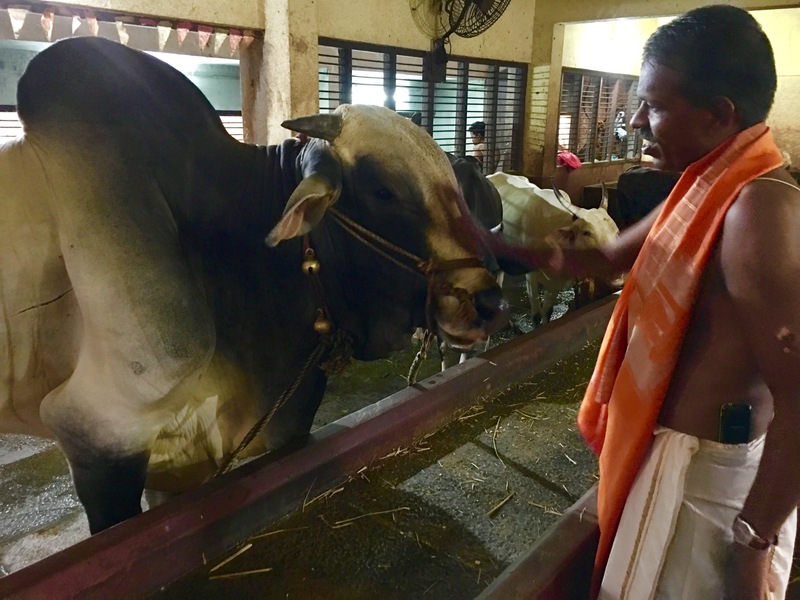 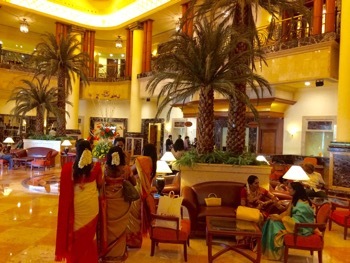 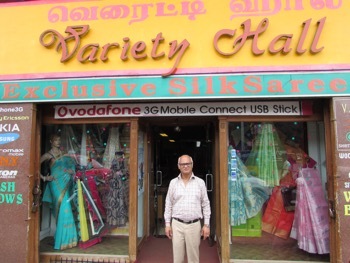 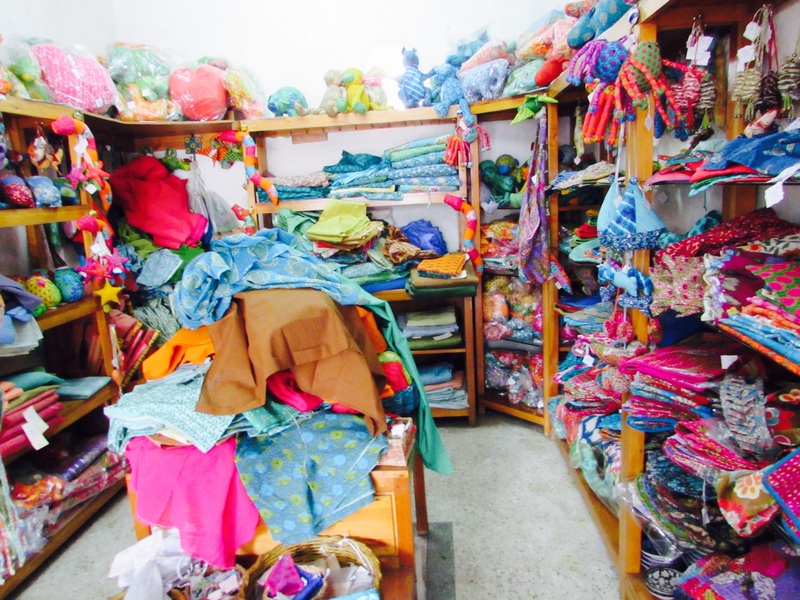 Visit the Variety Hall next door to Hotel Sri Lakshmi to appreciate Mr Ashok’s designer saris and perhaps get something, made then explore the Coonoor local market. 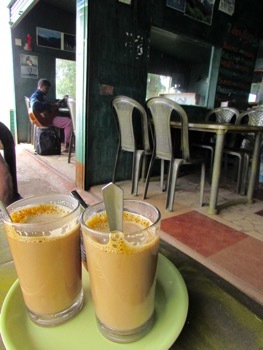 Get the frequent local bus back to Ooty ( bus stand is nearby). 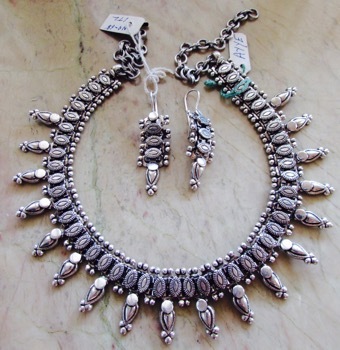 Also visit Tulsi Mall up the hill for lovely Toda silver jewellery. 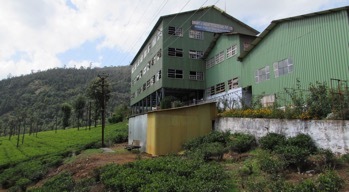 Take a tour of the tea estates and look out view points around Coonoor ( Dolphin’s Nose, Lamb’s Rock, and view of Catherine Falls) and visit the Highfields Tea Factory for a tour and tea tasting. 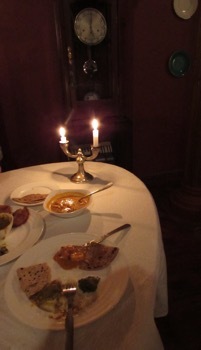 Perhaps have lunch at 180 McIver, Coonor – not cheap or exceptional, but great views. 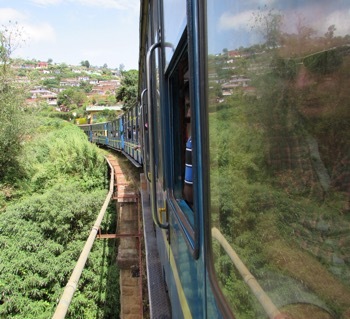 Back in Oozy, visit the Botanical Gardens and see the Toda village at the top of the hill. 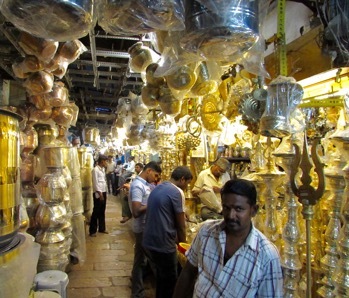 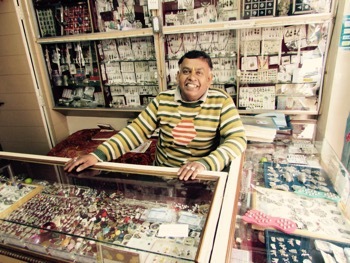 Visit the Main Bazaar Road in Ooty for silver jewellery. 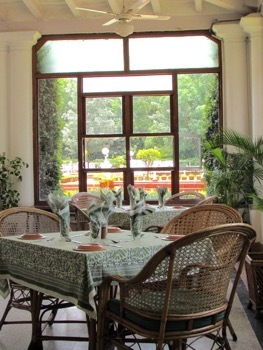 Pakwan in the Main Street is the best spot in town but Lymond House is lovely, well priced and conveniently next to the Taj Savoy. 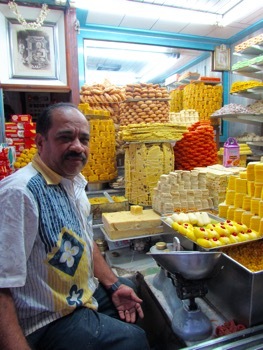 Modern Stores on the way to the gardens has great chocolate and plenty of gourmet supplies. 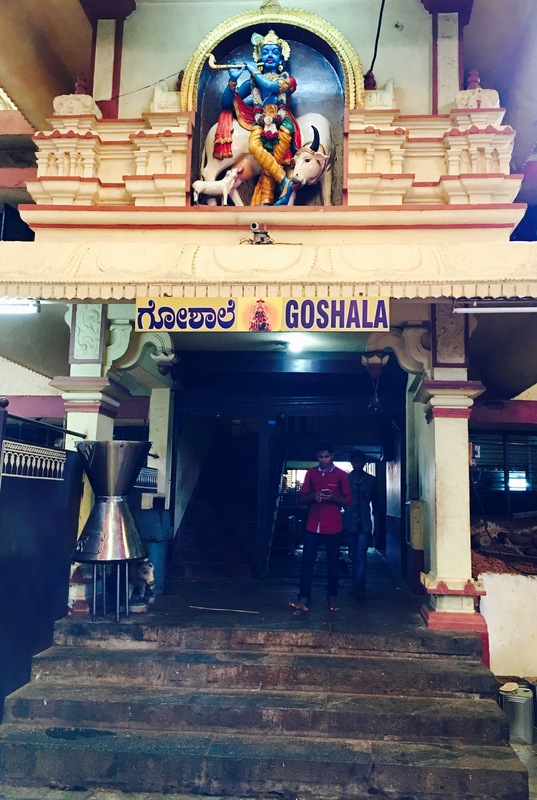 Devaraja Market is fun to explore. 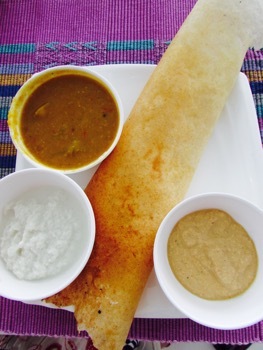 Try the famous Mysore Pak fudge and Mysore Marsala Dosa. 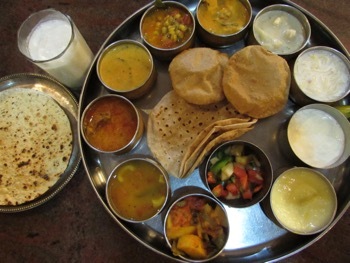 Om Santhi at the Hotel Siddhartra for a thali for lunch. 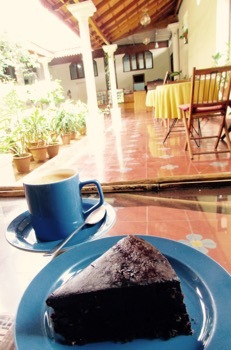 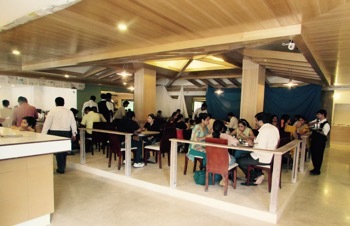 Malgudi Cafe at the Green Hotel for coffee and chocolate cake or sandwiches. 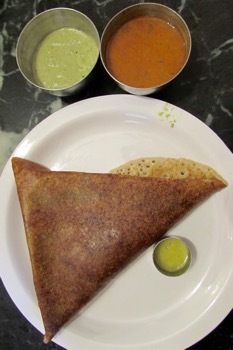 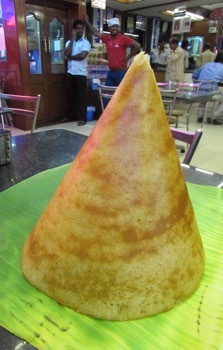 Dosa Point for the best Mysore Marsala Dosa and Nalpak for coffee both near the Royal Orchid. 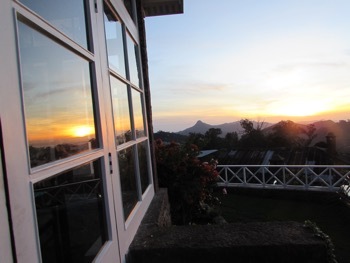 Lonely Planet does not give Madikeri enough credit. 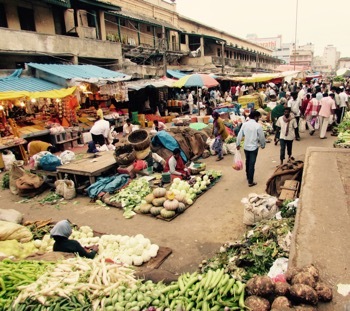 It’s a nice little town with a couple of good spots to eat, a lively Friday market and atmospheric fort. 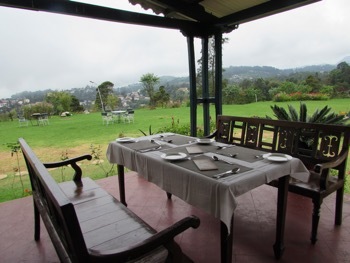 Madikeri is the capital of Coorg, the ‘Scotland of India’, the home of the Kodava a tribal peoples and a favourite spot of British colonists. 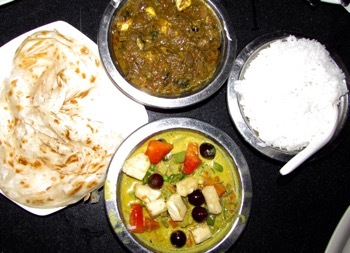 Famous for it’s coffee, spices, and Coorg cuisine that uses pork, interesting rice sides, a unique souring ingredient called kachampuli, and ingredients in curries like tender bamboo shoots, wild mango and wild mushroom it’s well worth a visit. 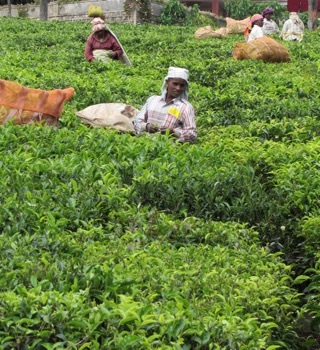 The centre of Coorg culture and cuisine, coffee plantations and hill stations. 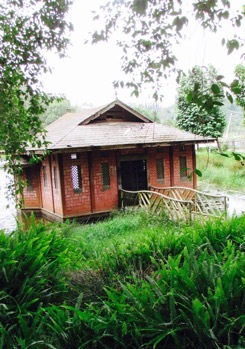 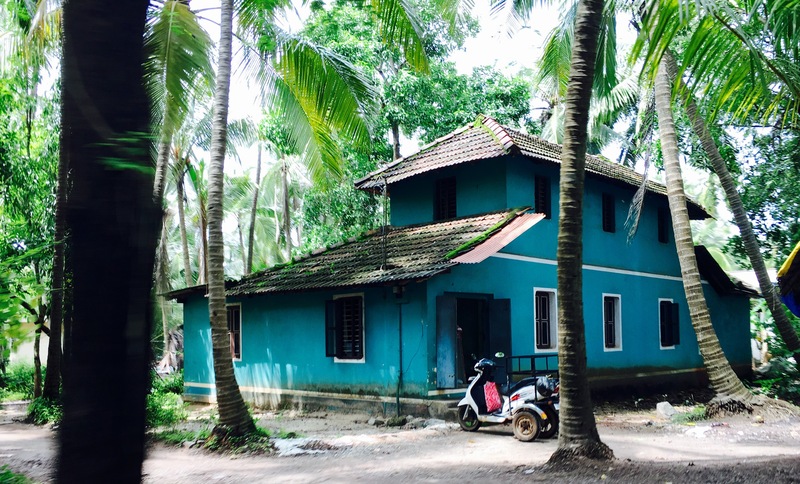 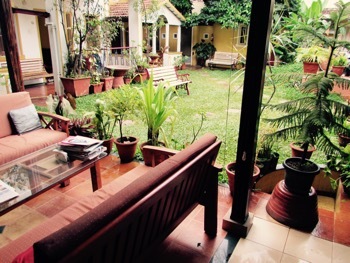 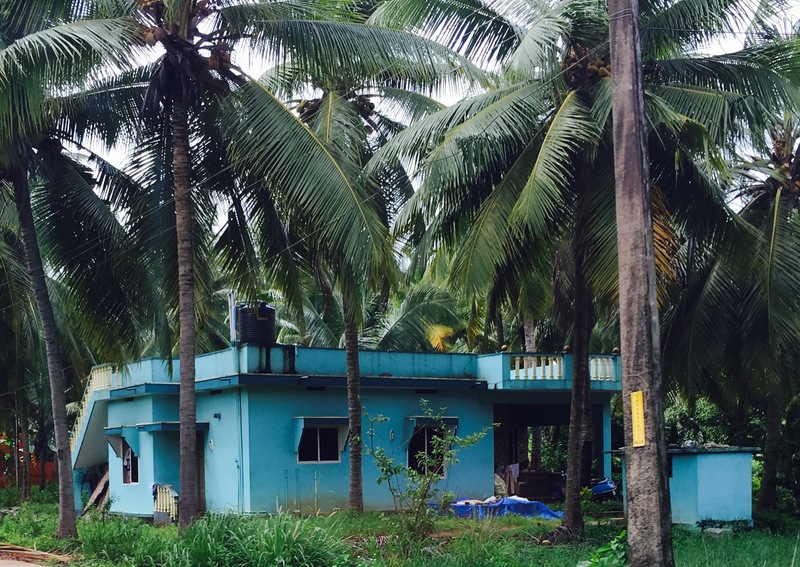 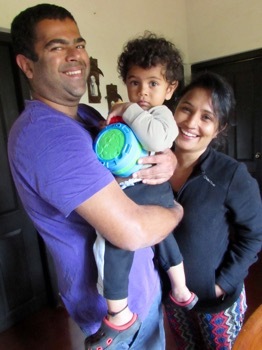 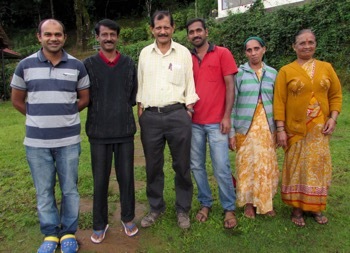 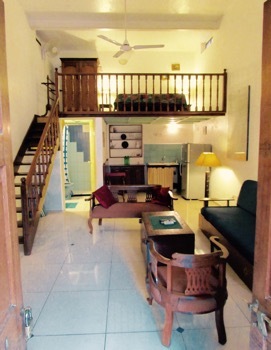 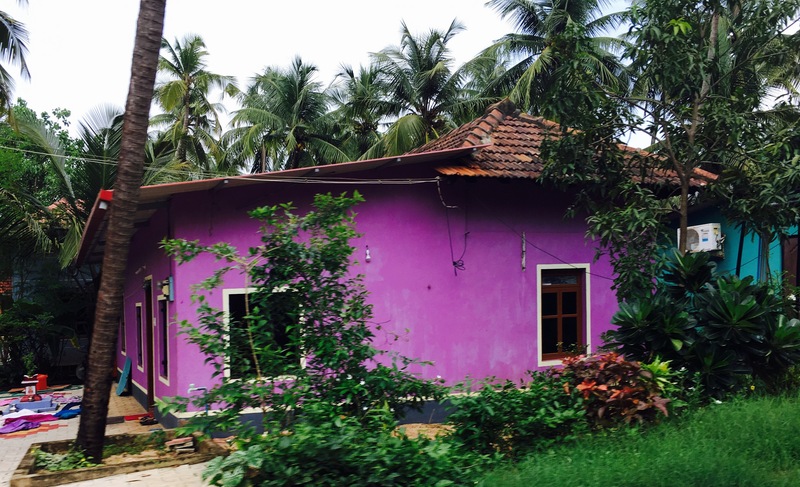 Gowri Niwas – a lovely garden cottage with great hosts and fabulous home cooked Coorg food. 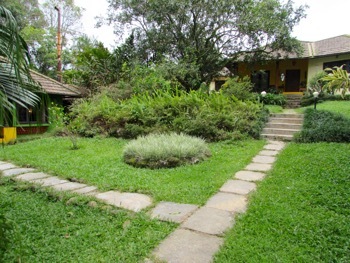 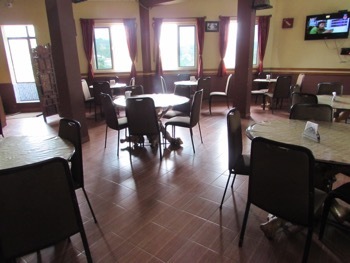 Serene Woods – lovely setting in a coffee estate with great views and excellent Coorg food, lovely staff ( but two nights is plenty as it’s fairly isolated). 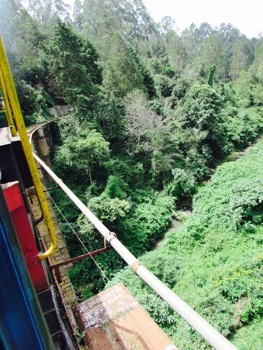 See the view from Raja’s Seat close to town. 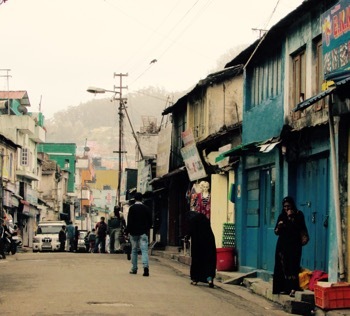 Wander the fort in town. 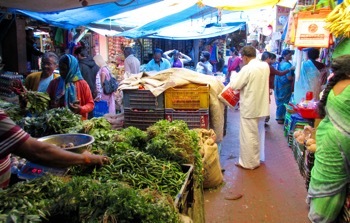 Shop for spices at Coorg Greens. 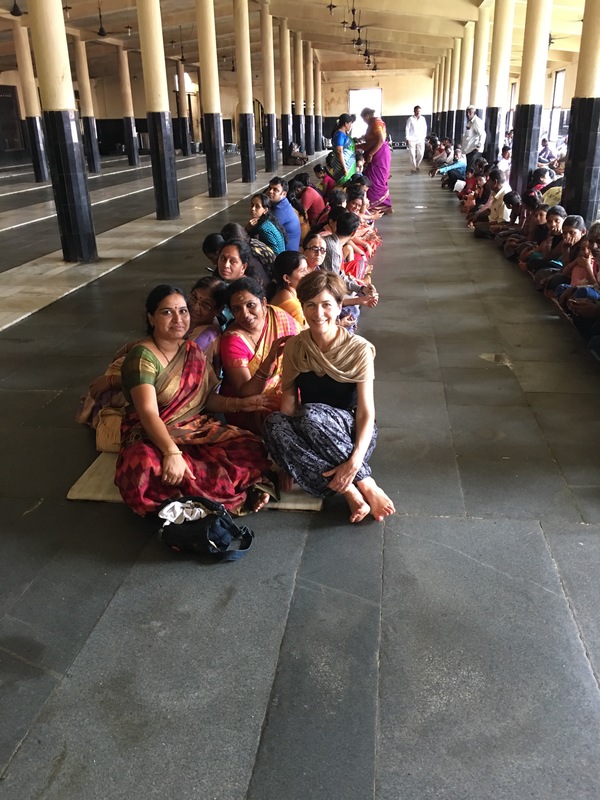 Learn to tie a saree Coorg style that can be worn without a blouse for evening wear. 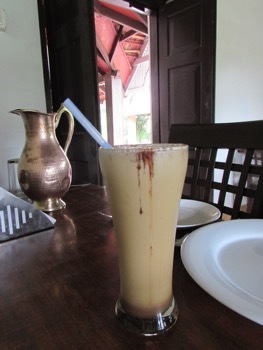 Raintree Resturant for great iced coffee and local black Bella coffee sweetened with jaggery ( divine), or lunch in a more upmarket setting. 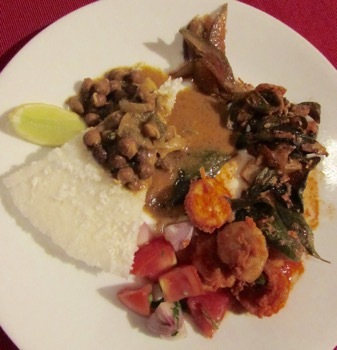 Coorg Cuisinette for well priced excellent Coorg dishes with the locals. 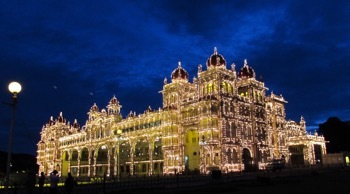 (The Shatabdi train is a quick and easy 2 hour scenic ride to Bangalore from Mysore). 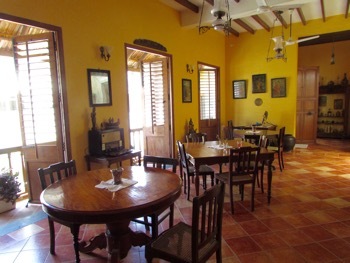 Casa Cottage ( Room 18 is the pick), a good spot but not in the very best location. 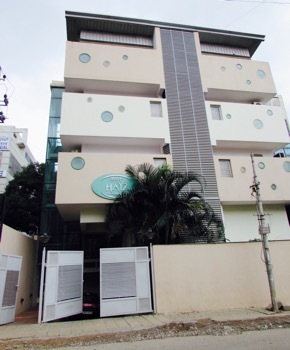 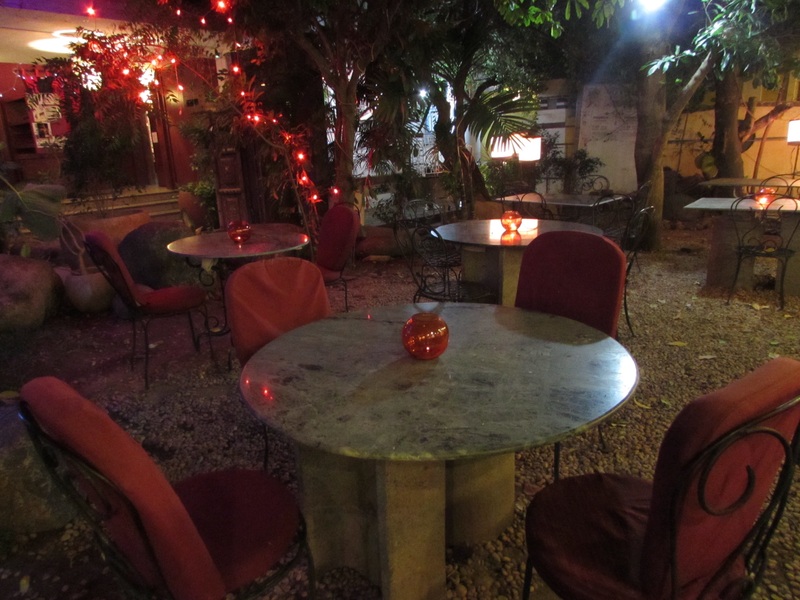 St Mark’s Inn or Hayz Boutique Hotel are better located, closer to St Mark’s Road. 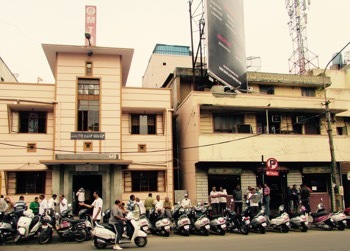 In Bangalore location is everything as traffic is terrible and crossing roads no fun. 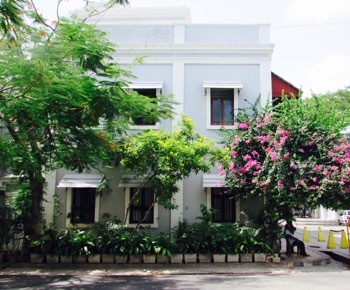 St Mark’s Road is the best location, close to good restaurants and easy walking to Commercial Street area. 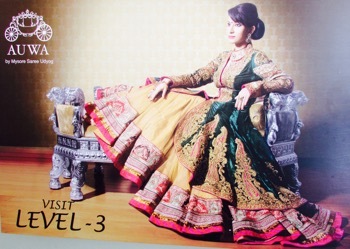 For ready made stretchy saree blouses go to…. 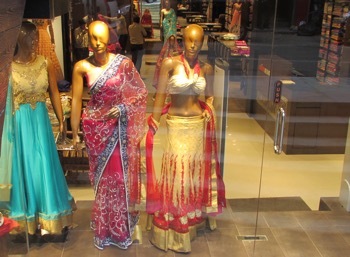 Don’t miss seeing the amazing Mysore Saree Udyog shop with floors of the most gorgeous materials. 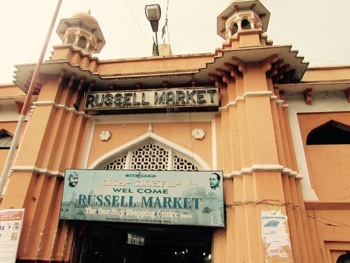 And visit the nearby heritage Russell Markets. 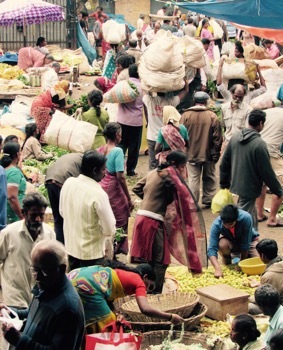 Go early to see the action as goods are unloaded. 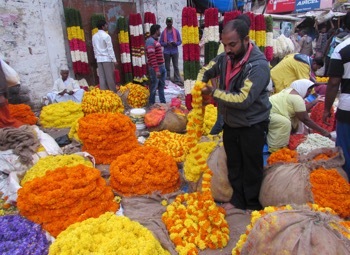 City Markets ( Sunday they have extra street stalls set up). 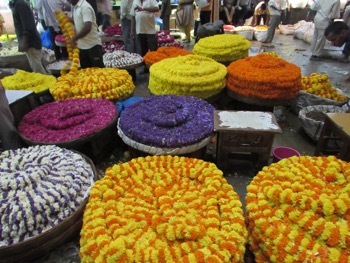 Go early ( get there around 6:30am at least) to see the lovely flowers. 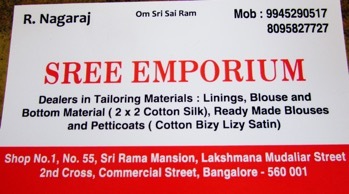 Also see the Fort and Tippu’s Palace close by while you’re there and maybe Gandhi Bazaar that’s close. 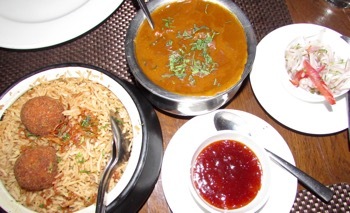 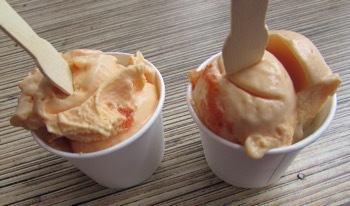 Do go the the original Mavelli Tiffin Rooms which are not far from the City Markets. 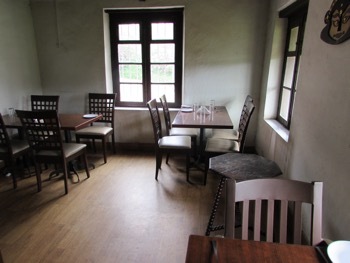 Mavelli Tiffin Rooms – the original is great but there are handy outlets in St Mark’s Road and Commercial Street. 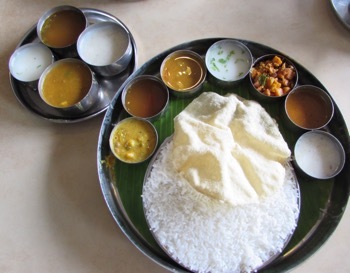 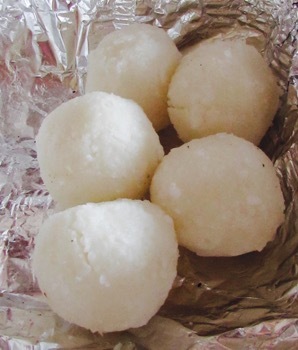 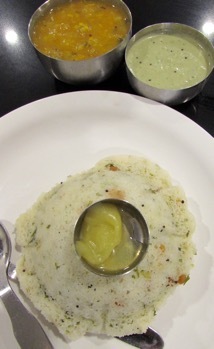 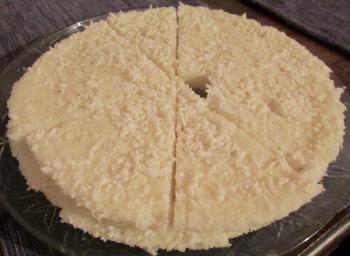 Try the Rava Idli and the Special Thali. 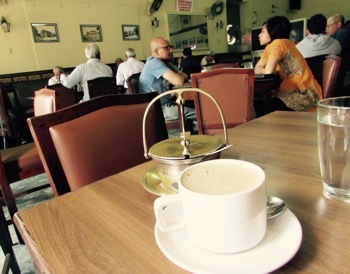 Koshy’s Parade Cafe – lovely heritage ambiance, great for coffee, snacks, sandwiches and Raj era cuisine ( ask for the Mutton Pepper Fry, not on the menu). 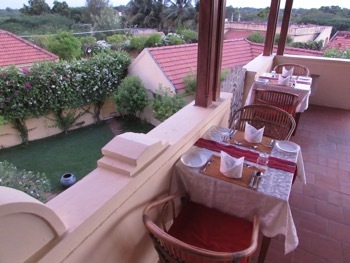 Ebony for the roof top view but expensive so go for the Dhansak or Massaman Curry meals ( large so just one between two). 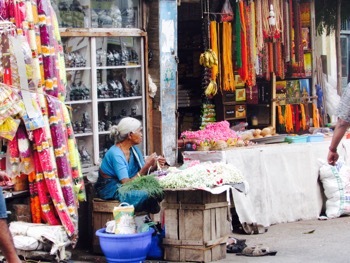 Church Street also has lots of good choices.